National Cruise Vacation Week started yesterday and with it came deep discounts on every major cruise line for trips leaving next month to next year. The popular notion that you will get a good cruise bargain if you wait until Wave Season to book a cruise is partially true, but if you want an even better cruise bargain — and the best selections of ships, itineraries and staterooms — then the time to book that winter cruise is right now. 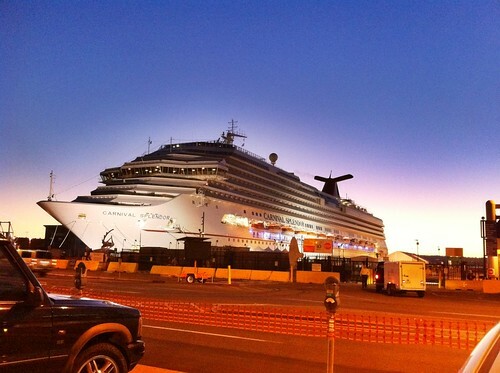 Carnival Cruise is the most successful cruise line and is offering the steepest discounts this week. Photo by Port of San Diego. National Cruise Vacation Week, which runs from Oct. 22 through Oct. 29, is an annual industry-wide sales event organized by the Cruise Line International Association, an organization in which all of the major cruise lines are members.